Bronchiectasis was associated with decreased forced expiratory volume, shorter 6-minute walking distance, and lower vital capacity. Mild bronchiectasis in smokers is associated with distal pulmonary vascular pruning, according to a study recently published in ERJ Open Research. Severity of disease appears to correlate with this pruning, including forced expiratory volume and 6-minute walking distance. The inclusion criteria for this study were a current or previous smoking status of ≥10 pack-years, age between 45 and 80 years, and absence of current respiratory or pulmonary disease other than asthma or chronic obstructive pulmonary disease. 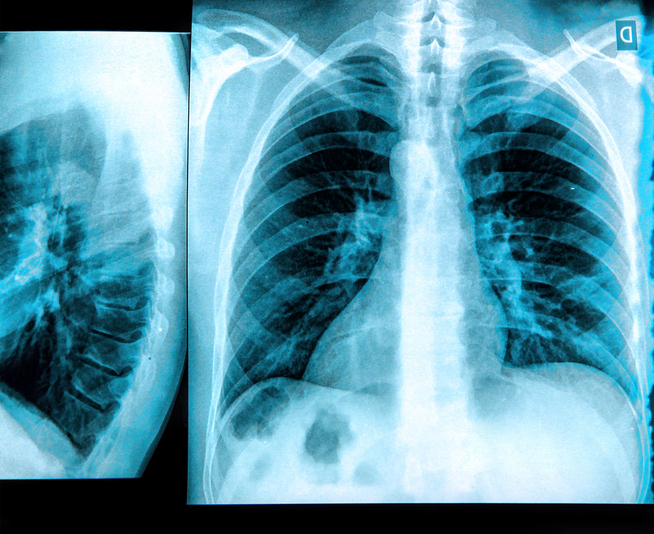 In computed tomographic scans, volumetric images were reconstructed with slice thickness of <1 mm, which provided sufficient resolution for study of the bronchi. Researchers quantitatively evaluated intraparenchymal pulmonary vascular structure, recording the proportion of <5 mm2 cross-section blood vessels to the total volume of blood vessels. To compare this proportion between the bronchiectasis and nonbronchiectasis subgroups, regression analyses were used. Among a sample of 486 smokers, 31.9% (n=155) had bronchiectasis. This condition was associated with decreased forced expiratory volume, shorter 6-minute walking distances, and lower vital capacity compared with individuals without bronchiectasis. Smoking history, comorbid cardiovascular conditions, resting oxygen saturation, ratio of whole-lung blood vessels <5 mm2 in cross-section to total blood vessel volume, and frequency of chronic obstructive pulmonary disease and emphysema were similar between these subgroups, although individuals with bronchiectasis tended to be older and female. Vascular pruning was more common in patients with lower-lobe bronchiectasis. Disclosures: Several authors report funding from pharmaceutical companies and other institutions. For a full list of disclosures, please see the reference.